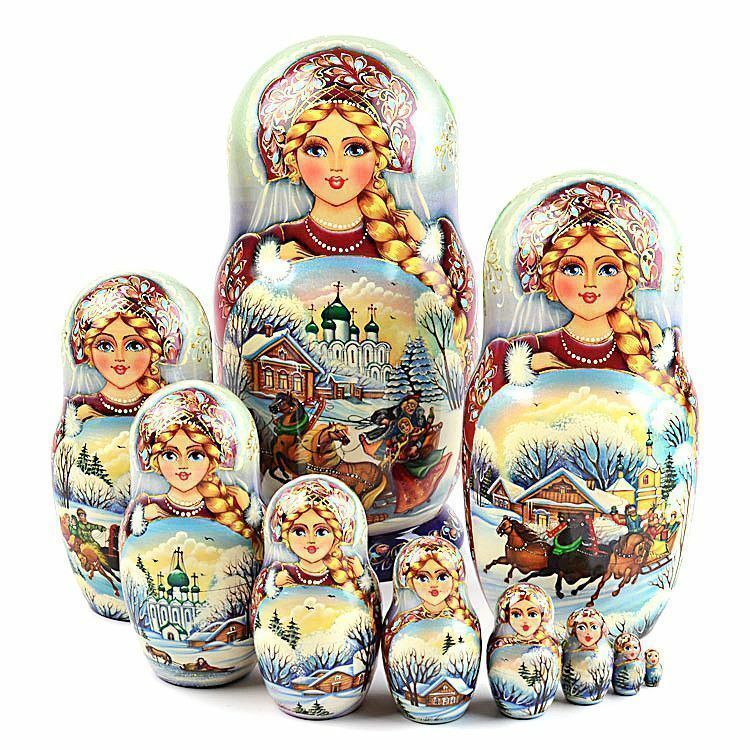 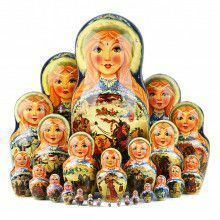 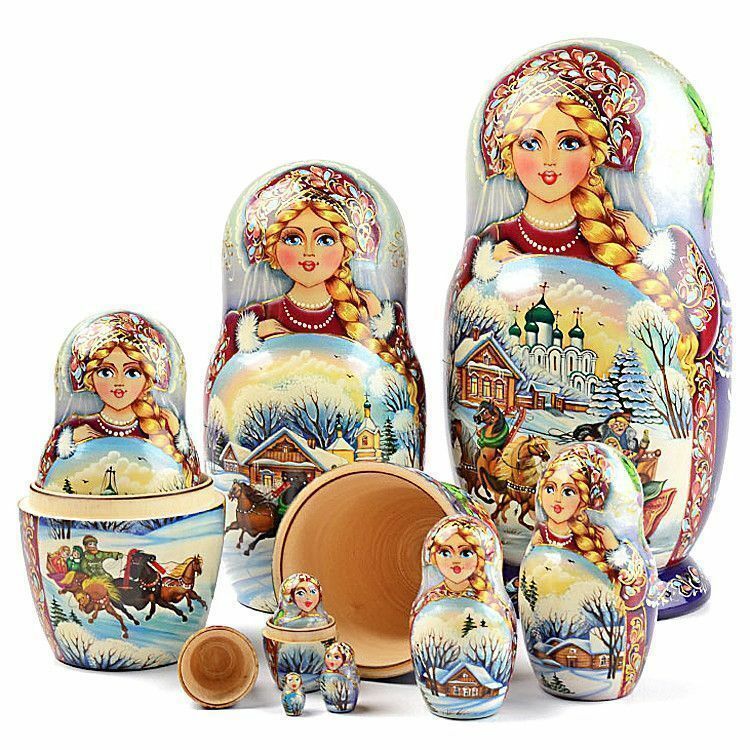 This 10 piece matryoshka is truly a masterpiece of fine art. 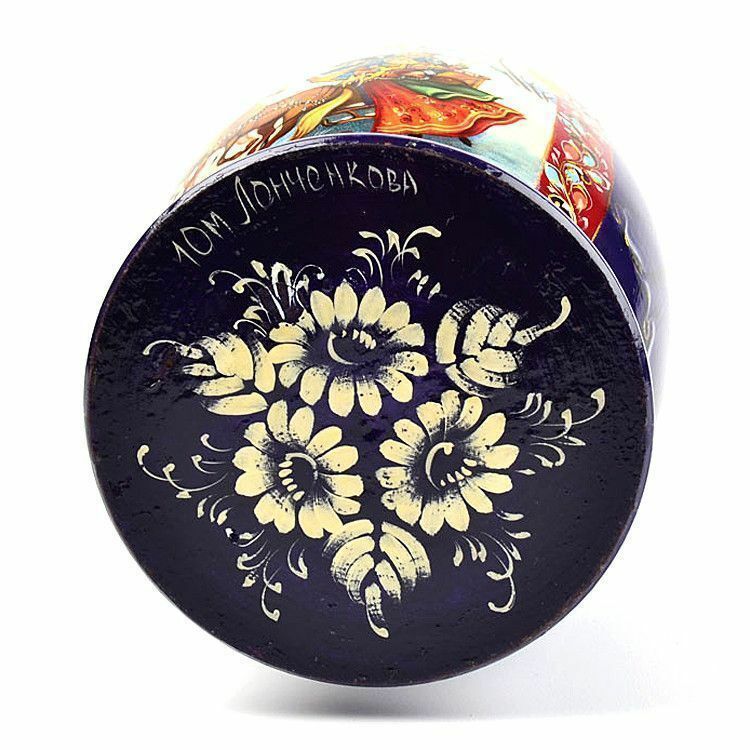 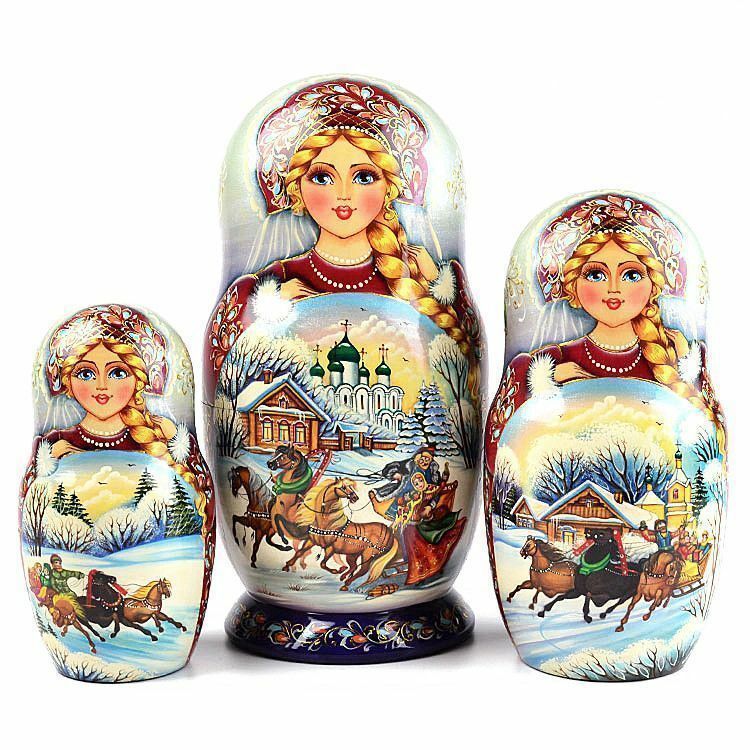 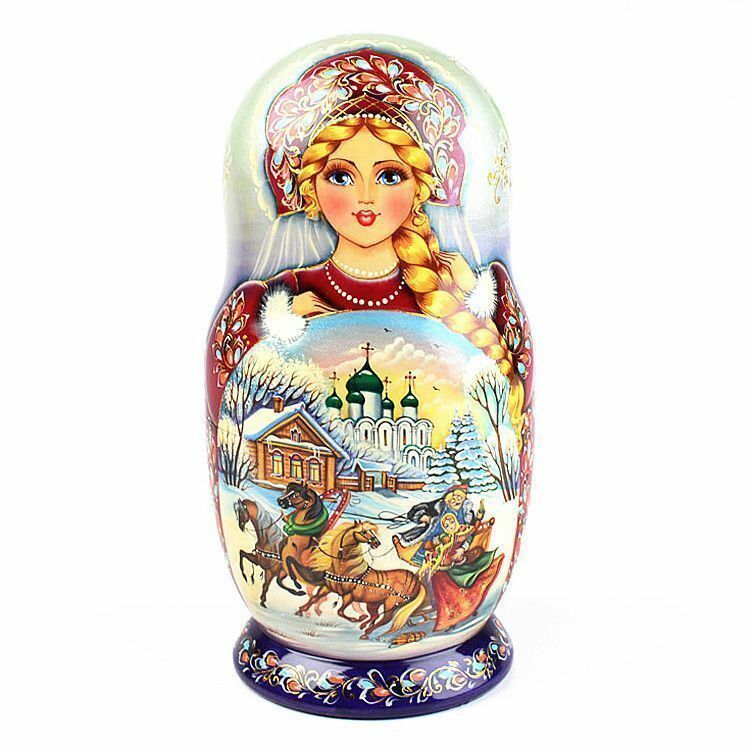 A very skilled Russian artist, Lonuchenkova, used the tiniest brushes to illustrate the beloved Russian troika on this beautiful nesting doll. 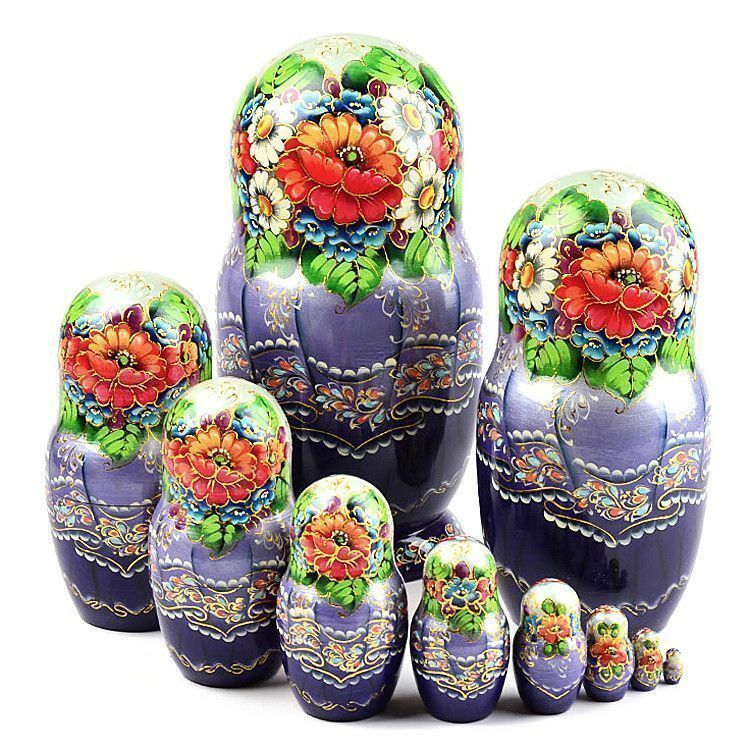 Embellished with gold trim, shimmering paint, and textured dots, this nested doll is a one-of-a-kind collectible that will surely not go unnoticed anywhere. 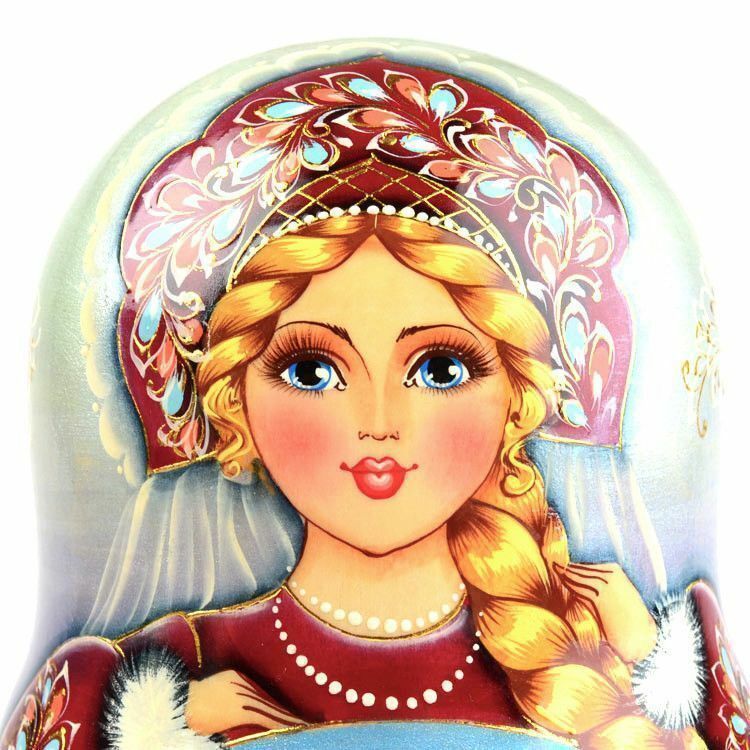 Signed by the artist, gloss-finished, and ready to ship.